Today I had one of those days where life got in the way of creativity. When I finally did get a little time to myself to get started on the next quilting project, well wouldn’t you know, I was spoilt for choice and just couldn’t make up my mind…. I have got as far as knowing that I want to try out one of the Miss Rosie’s Quilt Co patterns that arrived last week and that I want to work only, or as only as possible, from fabrics in my stash. Maybe I should just start both and see where I end up. On a happy note. Today I was picking up some fruit and veg and plants from the farm shop near my home, where I get almost all my fresh green produce. This was a sight that I’ve been waiting for. It means that spring is really here. Even the farmers think so. The selection of plants will now get bigger week by week. It makes it a joy to go shopping there! 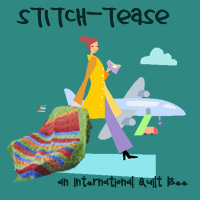 This entry was posted on Monday, April 19th, 2010 at 4:10 pm	and is filed under Quilting. You can follow any responses to this entry through the RSS 2.0 feed. Both comments and pings are currently closed. 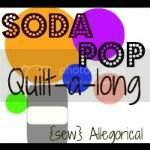 I love the look of the Summer Wind quilt – the fabric you have chosen looks so summery and fresh – Hope to see a picture when you finished it.